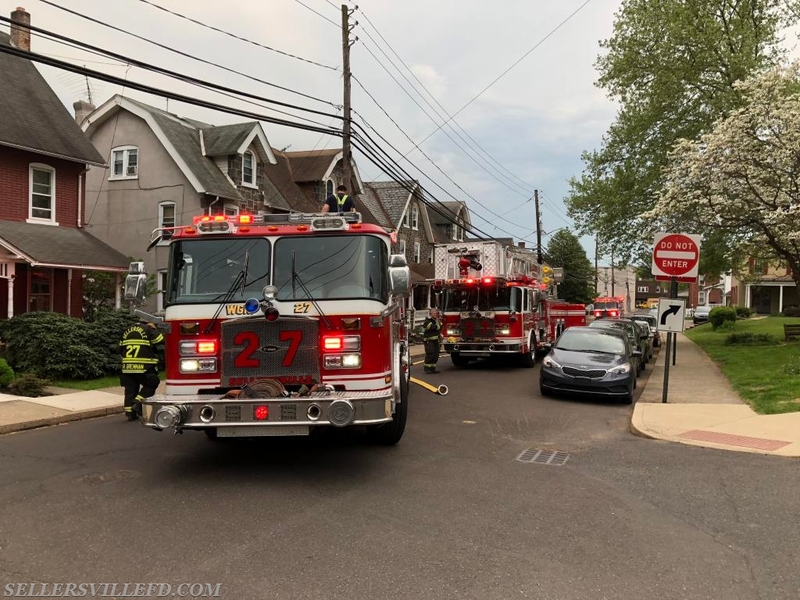 SFD Volunteers were alerted for a reported dwelling fire in the 100 block of Walnut Street in Sellersville Borough. A neighbor of a twin unit was reporting smoke coming from the roof ridge vent of the other unit. Engine 27’s crew performed a quick investigation, with nothing to be found.